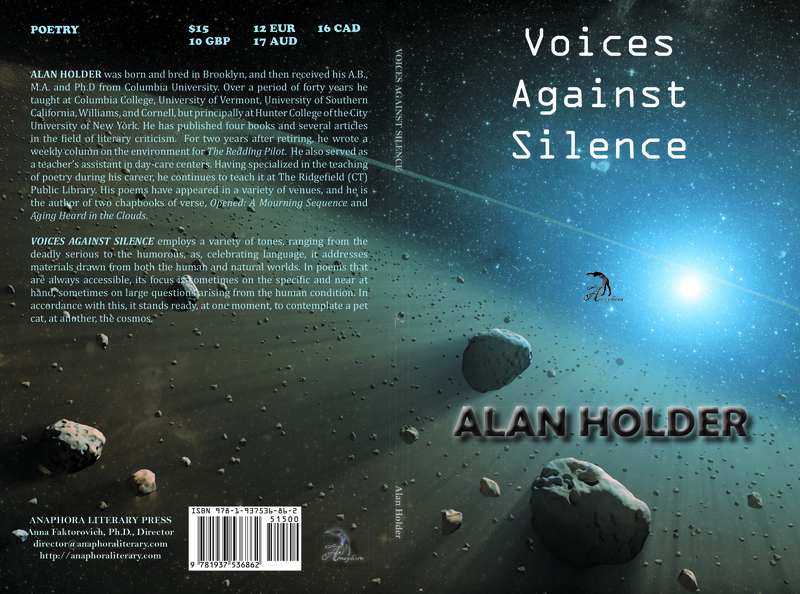 Voices Against Silence: ($15, ISBN: 978-1-937536-86-2, Hardcover ISBN: 978-1-68114-124-4, LCCN: 2014950750, 6X9”, 98pp, February 2015; Purchase on Amazon or Barnes and Noble): employs a variety of tones, ranging from the deadly serious to the humorous, as, celebrating language, it addresses materials drawn from both the human and natural worlds. In poems that are always accessible, its focus is sometimes on the specific and near at hand, sometimes on large questions arising from the human condition. In accordance with this, it stands ready, at one moment, to contemplate a pet cat, at another, the cosmos. 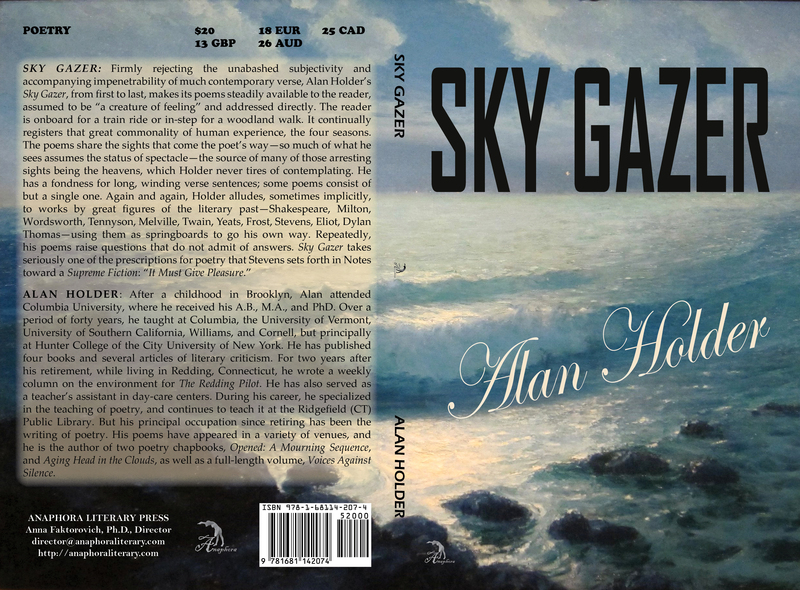 Alan Holder was born and bred in Brooklyn, and then received his A.B., M.A. and Ph.D from Columbia University. Over a period of forty years he taught at Columbia College, University of Vermont, University of Southern California, Williams, and Cornell, but principally at Hunter College of the City University of New York. He has published four books and several articles in the field of literary criticism. For two years after retiring, he wrote a weekly column on the environment for The Redding Pilot. He also served as a teacher’s assistant in day-care centers. Having specialized in the teaching of poetry during his career, he continues to teach it at The Ridgefield Public Library. His poems have appeared in a variety of venues, and he is the author of two chapbooks of verse, Opened: A Mourning Sequence and Aging Heard in the Clouds.